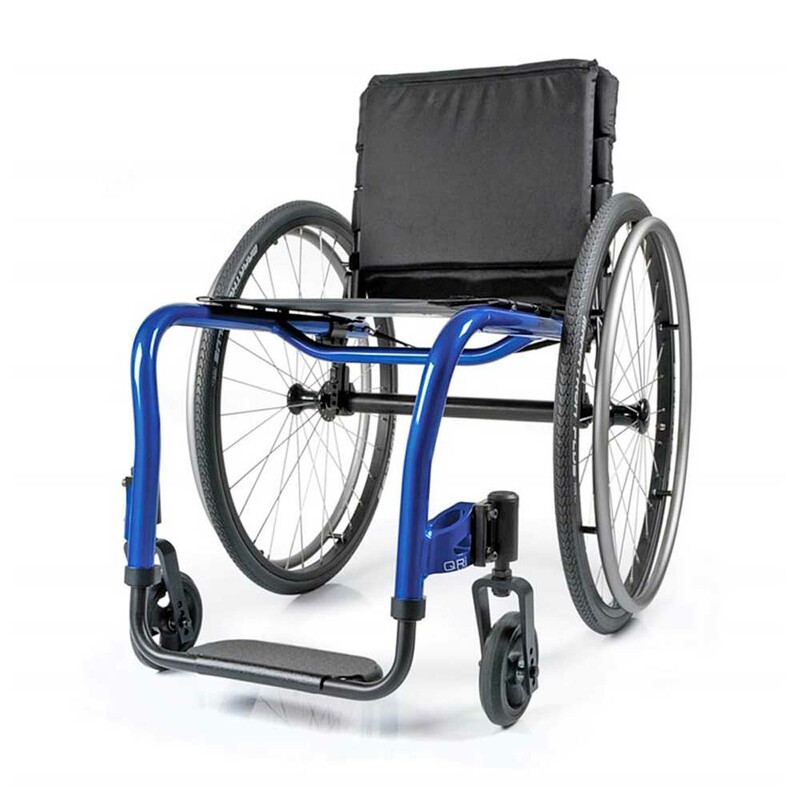 Quickie QRi ultralight weight rigid manual wheelchair comes with a strong, innovative, open frame design is perfect for user’s on-the-go. 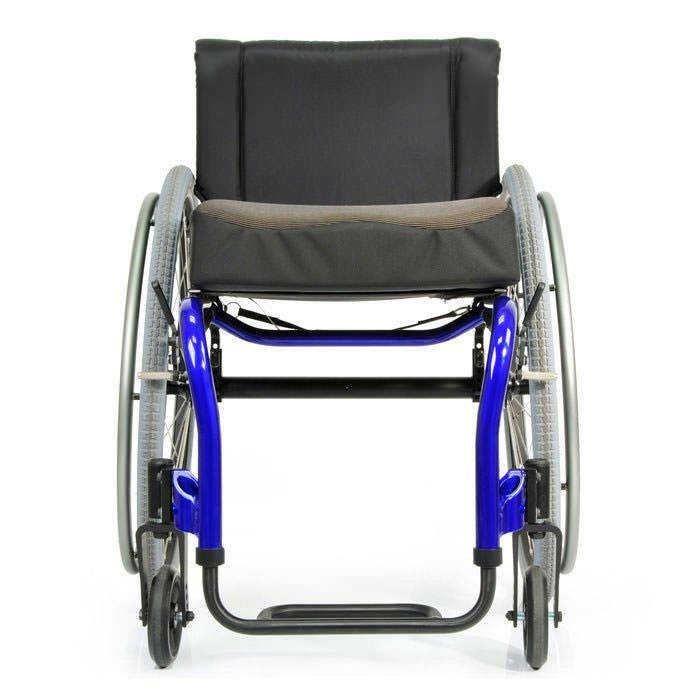 QRi rigid manual wheelchair is designed for form and function, the QRi is a hybrid of durability and low-maintenance style at an unbelievable value. QRi manual wheelchair has folding lock-down angle adjustable backrest which allows user to adjust back angle position for various activities throughout the day with a single lanyard pull. 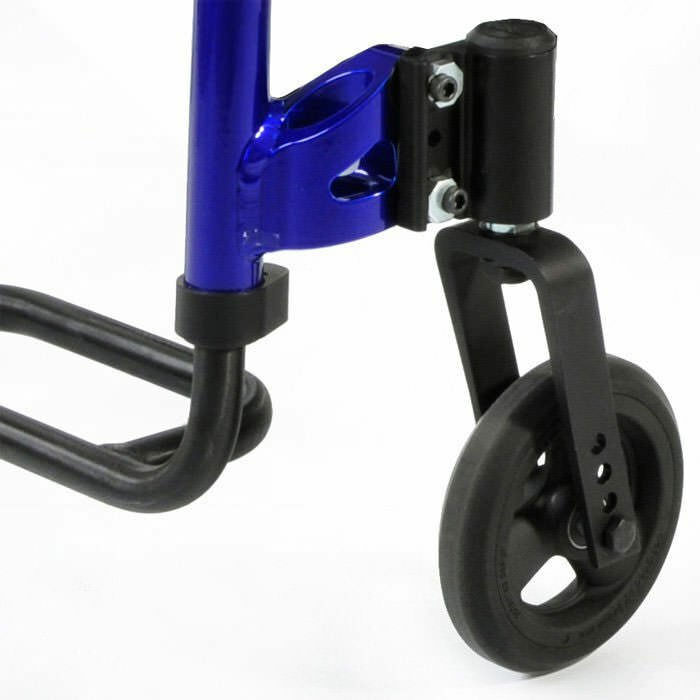 QRi rigid manual wheelchair features the Quickie 2's time-tested caster journal and stem-fork system for superior durability. When in the folded position, the back locks into place for easy transport. 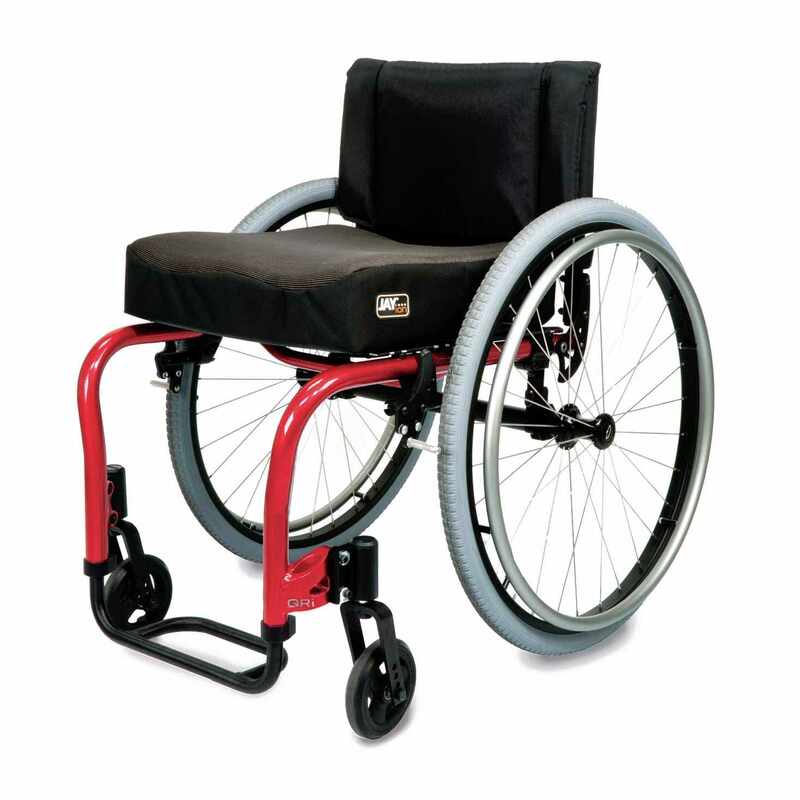 QRi manual wheelchair features easy rear seat height, and camber adjustments. 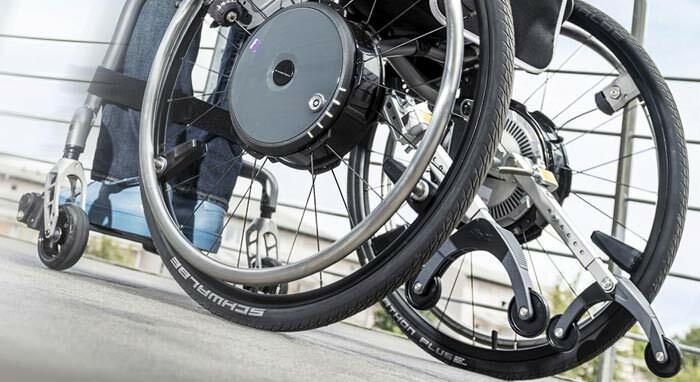 The QRi manual wheelchair comes with adjustable axle plate, allowing for infinite center-of-gravity adjustments from a 1" to 3" range, creates the ideal CG setup. 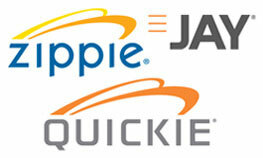 Commuter-friendly design: Quality and safety are top priorities here at Quickie. The QRi's sturdy open frame features a stable wheelbase, fluid caster design, and optional WC-19 approved transit brackets up to 265 lbs. Comfortable fit: QRi manual wheelchair comes standard with 0" or 1" frame inset, a highly adjustable axle plate for perfecting your center-of-gravity setting, and multiple front frame angle options. The right fit gives you the ability to perform at your maximum level of function and efficiency. Quickie's top options: Quickie QRi is available with quickie's most popular options and accessories to complement your lifestyle, including the folding lock down angle adjustable back and a wide range of seat widths, seat depths, armrests, wheels, tires, and handrims. WC-19 transit approved at 265 lbs. Seat widths 12" - 20"
Seat depths 12" - 20"
Front seat to floor height 15" - 20"
Back seat to floor height 14" - 20"
Measure from outside of seat tube to outside of opposite seat tube. Plastic not available on all wheels in all sizes. Natural fits are not available with 26"
Only available with mag wheels. Center of gravity 1" to 4.5". Not all wheel locks available in all seat depths, wheel sizes and center of gravity settings. Preset to 10". 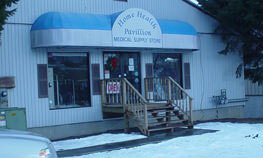 Some limitations may exist with integral and folding push handles range 9"-13". 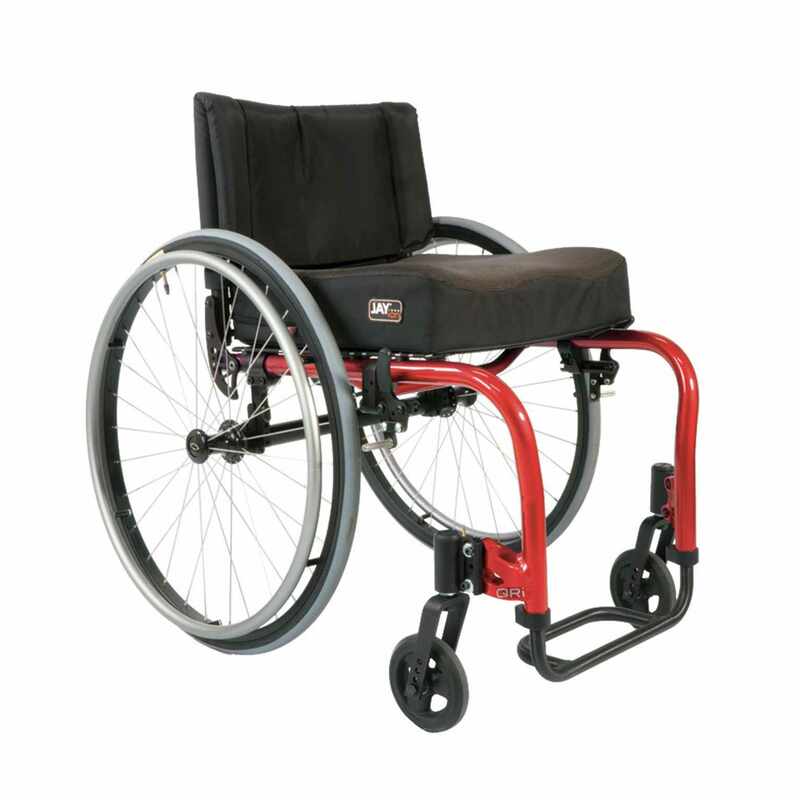 Not available with height adjustable arms, push/pull wheel locks only available in black.